Abstract: For decades, scientists have issued warnings about our planet’s declining health and its diminishing ability to sustain human activity. While behavior analysis has made important contributions to other spheres—education, health, occupational safety, to name a few—it has paid too little attention to the impact of human behavior on the only home we have. But this is changing. This presentation will offer examples of why behavior analysts are uniquely poised to contribute to a broad range of interventions to promote the husbandry of our planet’s resources, restore damaged ecosystems, and help society prepare for the inevitable challenges to come. Abstract: Behavior analysts have a lot to offer society, but too often in our eagerness to share the marvels of our science with clients and professionals in other fields, we act in ways that hamper its effectiveness and widespread adoption. Misguided actions by practitioners of behavior analysis are akin to three basic fertilizer errors by backyard gardeners: too much, too little, and the wrong kind. Examples of each type of mistake and their ethical implications will be presented, and suggestions of what to do instead offered. 2019 Conference – SOLD OUT! 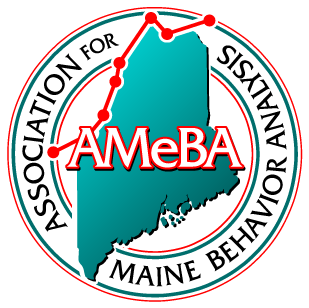 We're fostering the development of ABA services in Maine. AMeBA is dedicated to creating a community of qualified specialists and informed clients.